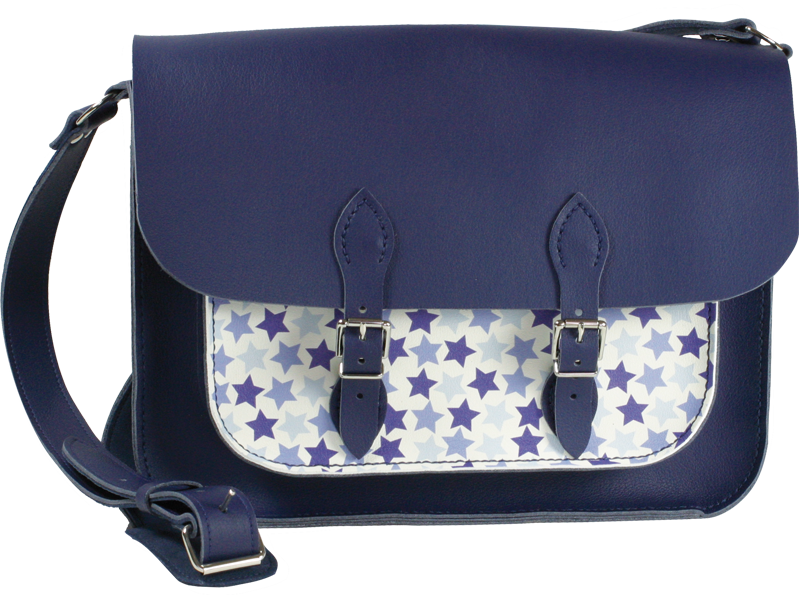 Fabulous animal free traditional satchel with funky Star Pattern front pocket . Full size to take A4 file or laptop. Adjustable shoulder strap with shoulder pad for comfort. Solid cast roller buckles for easy fastening. Library book size front pocket. Size 34x27x8.5cm (13x10½x3½").Only available in Ink Blue with Blue Star print.